Whomp whomp. 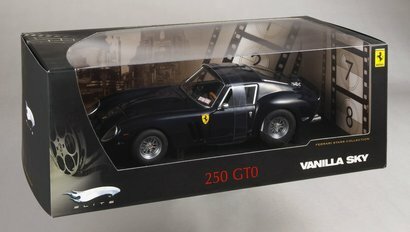 There're no 250 GTO VANILLA SKies for sale. The Ferrari 250 GTO was introduced in 1962 as the ultimate expression of the Ferrari 250 GT. It was equally at home on the road or track and achieved legendary status among Ferrari’s aficionados. Debuted at the 12 Hours of Sebring in 1962, the car dominated the world sports car championships and won the World Manufacturer’s Championship three years in a row: 1962, 1963 and 1964.